"The old cars in the foreground are used as living quarters for some yard workers and itinerant help." 4x5 Kodachrome transparency by Jack Delano. 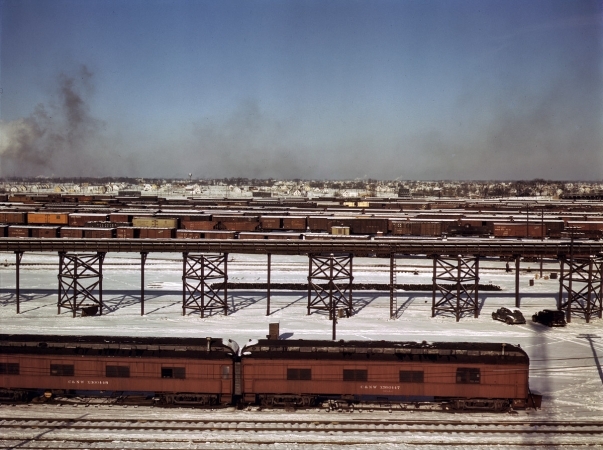 Chicago & North Western classification yard, December 1942. Town of Melrose Park is in background.